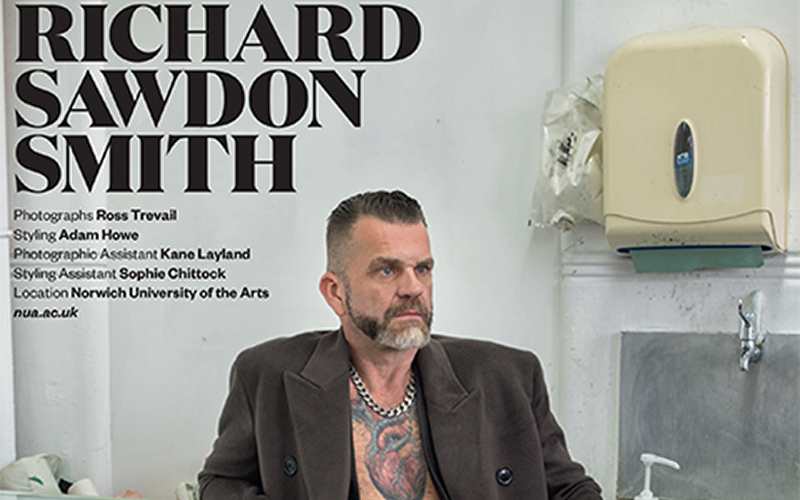 NUA Lecturer Ross Trevail has photographed NUA Dean of Arts and Media Professor Richard Sawdon Smith for the Winter edition of Jocks & Nerds Magazine. The shoot took place on the NUA Campus and Sophie Chittock, Year two BA (Hons) Fashion Communication and Promotion student assisted with styling. Year two BA (Hons) Photography student Kane Layland got the opportunity to assist Ross on the shoot and both students were featured in the magazine.